Did you get sick of Overwatch’s Sombra ARG? Your feedback has been heard. Overwatch fans spent months in the grips of an ARG centred on Sombra, the new hero revealed at BlizzCon this weekend. The ARG was slightly spoiled by a series of leaks, but it was also just a bit frustrating – the Overwatch community devoured each step, solving it within hours, and then there were long gaps where nothing happened, and a series of countdown timers that repeatedly started the cycle over again. By the end, we were all pretty sick of it, and some fans said so in no uncertain terms. “We were definitely taking the feedback. I think it was fair, the feedback. We’re not very good at ARGs. We’ve never done one before,” Overwatch lead hero designer Geoff Goodman told Kotaku. “I think the biggest thing was the timing maybe could have been better on it. That was the biggest lesson. They were just on the ball every time. I think that made those windows a little longer than the others might have been,” he added. 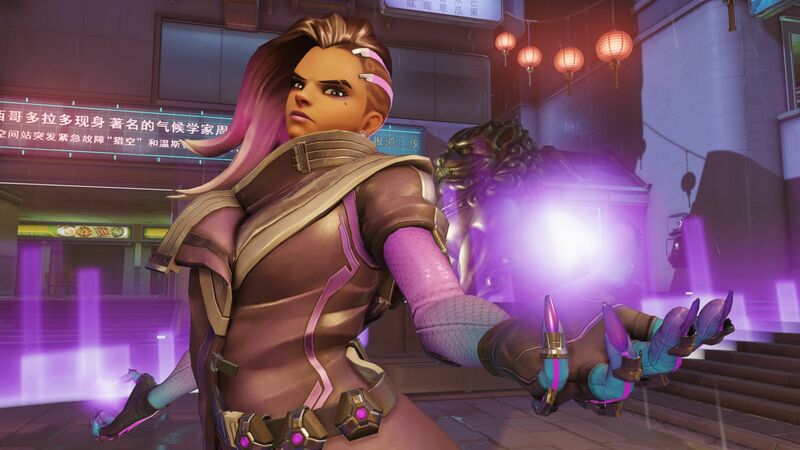 Sombra is the only Overwatch character to be introduced in this way, and it’s part of her whole theme as a hacker – other characters have been featured in comics and animated shorts, and Ana even popped up in Sombra’s ARG. the interview also includes some discussion of why an ARG fit Sombra so well, by the way. Elsewhere in the interview, Goodman said Blizzard may do more ARGs in the future but has no plans at present. Although: if there were another Overwatch ARG going on, it’s not like he’d say so, is it? Tinfoil hat time.